Legal Expert work with no win no fee solicitors from across the country who can help people to make a personal injury claim. In this case study, we look at an example of a personal injury someone sustained whilst eating out in a restaurant. In our case study, the claimant was dining at a pizza restaurant. Whilst eating the pizza he ordered he broke his tooth on a piece of glass which was embedded in the slice of pizza. As a result of biting into the glass the claimant was left with a broken tooth, specifically, his top left molar had been broken in half by biting the glass in the food. Due to the injury suffered and the treatment recommended by a dentist, the claimant chose to seek compensation for a broken tooth through a personal injury solicitor. 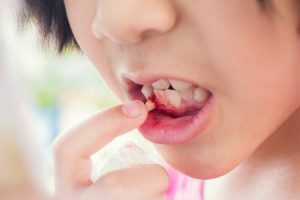 At Legal Expert, we have helped clients with similar broken tooth and broken teeth injuries to get the compensation they deserve. Broken tooth injuries can be painful and can necessitate a wide range of different dental treatments. As such, the nature of a claim, and amount of compensation for the loss of teeth or a broken tooth can vary widely. If you have suffered a broken tooth injury the first thing to do is to try and collect the broken fragment and keep it in milk. This helps to preserve it, allowing for the possibility for a dentist to glue it back in place. In this case, the dentist did attempt to repair the tooth but it was not possible. If a dentist is not able to reattach (glue) the broken piece of the tooth there are several treatment options available. They may be able to use a filling material to rebuild the tooth or add a crown. More serious broken tooth injuries can expose the nerves. In these cases, they will become much more sensitive and could require multiple treatments or root canal surgery. In this instance, a dentist was able to recommend several treatment options for the claimant, with them choosing the one best recommended by the dentist. To provide no further treatment and leaving a gap where the tooth was. (This was the treatment recommended by the dentist). Replace the tooth which had been removed with a fixed bridge. Replace the damaged tooth with a (removable) false tooth. Replace the damaged tooth with a tooth implant. The treatment options were explained to the claimant, along with the solicitor’s recommendation of not carrying out any further treatment. The claimant chose to follow the dentists’ advice and sought no further corrective treatment. The claimant signed a letter of authority with their solicitor confirming their choice. This report was sent to the defendants’ insurers. Once the no win no fee solicitor had taken on the claim for the client, they reached out to the defendant and the defendants’ insurers. The defendant’s insurance provider did not respond in the timeframe given for the initial investigation of the accident and injury. It took several months for them to respond. The response came after proceedings to secure any documentary evidence were launched by the claimants’ solicitors. In these proceedings claimants, solicitors requested documents such as the accident report book/ record which would provide supplementary evidence to support the claim. Shortly after this, the defendant’s insurer did admit liability for the injuries suffered, subject to the medical examination mentioned above. It was at this examination that the four treatment options were recommended and a course of action chosen by the claimant. Dental compensation amounts will vary from person to person and depend on the injury sustained. Broken tooth claim settlements can include both general and special damages. General damages compensate a claimant directly for the injury they suffered, such as the pain and suffering for a broken tooth in this case. Special damages compensate people for any financial costs that have suffered. These can include any loss of earnings or expenses they have suffered as a direct result of the accident. Before disclosing this report to the defendant’s insurance company, the solicitor acting on behalf of the claimant drew up a schedule including all the out of pocket expenses that the claimant suffered, as well as those which were included in the medical report. In this case, the out of pocket expenses included the cost of travelling to and from dental appointments at a hospital, loss of earnings due to the claimant needing to take time off work and the cost of their immediate (as well as future) dental care. This schedule was approved by the claimant and sent to the insurers acting on the defendants’ behalf along with a request for a settlement offer. There was a brief negotiation between the two parties as to the claim amount before the case was settled for £6,000 in general and special damages. Legal Expert is the UK’s leading resource for free, expert legal advice for people who need to make personal injury claims. We have worked with people from across the country to make successful personal injury claims, such as people who are looking to recover the broken tooth compensation they deserve. If you have been injured as a result of an accident which was not your fault, contact the specialist legal solicitors at Legal Expert today. Our no win no fee service means that claimants can always be sure that they won’t have to face any additional financial costs as a result of their accident claim. If you have been the victim of a personal injury, you can know that the panel of specialist solicitors won’t make any charges or ask for upfront fees or payments for the services that they provide to a claimant, unless the claim is successful. The specialist no win no fee solicitors that are part of our panel of legal solicitors are able to help claimants with cases, such as recovering compensation for the loss of teeth, or a tooth. No win no fee means that you only pay fees if your case is successful. If you do win your case, the solicitors’ fees will be taken as part of the claim award. Typically this will be less than 25% of total (the maximum amount allowed by UK law). Legal Expert believes in helping people to recover and get the compensation that they deserve. You can find out more about how the panel of specialists legal solicitors Legal Expert work with by, speaking to us today. Claimants can get in contact with Legal Expert by sending an email to info@legalexpert.co.uk. Please include information on the type of claim you need to make. You can also talk to Legal Expert by phoning us on 0800 073 8804. Alternatively, you can use our online contact form on this page to reach out to us today. If you have been injured in a restaurant, bar, pub or other eateries, visit our guide to restaurant accident compensation claims and see how much compensation you can recover. Find out how to report a problem with food with food in a restaurant to the appropriate authorities. Broken tooth injuries can also be caused by dental negligence. If you have been the victim of dental negligence, consult our online guide. View our guide to making compensation claims for broken or fractured bones.